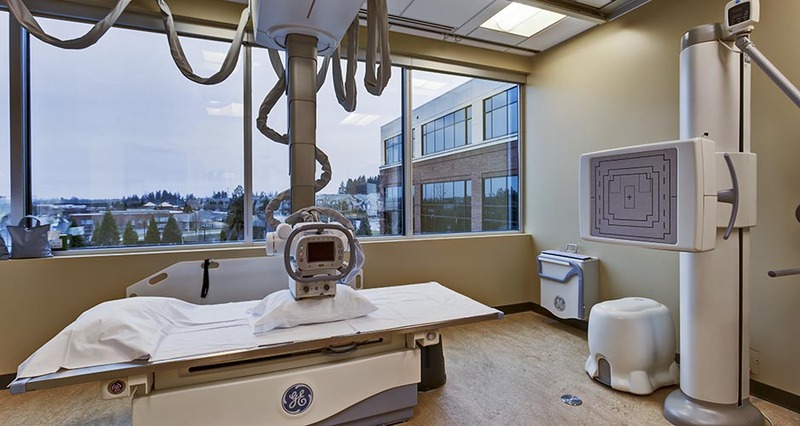 Contracted through the property manager, Mackenzie worked directly with the U.S. Department of Veterans Affairs and end users to design this 24,150 SF health clinic. 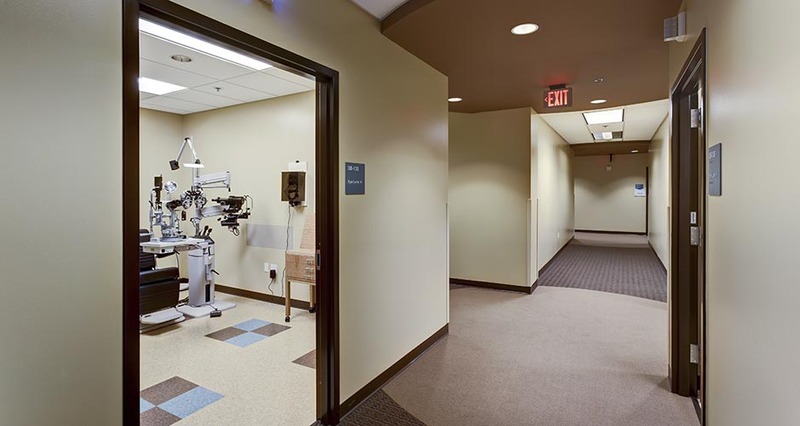 A full-floor tenant improvement at the AmberGlen corporate center, the clinic serves veterans on Portland’s west side. Services offered include primary care, mental health treatment, and the compensation and pension department. 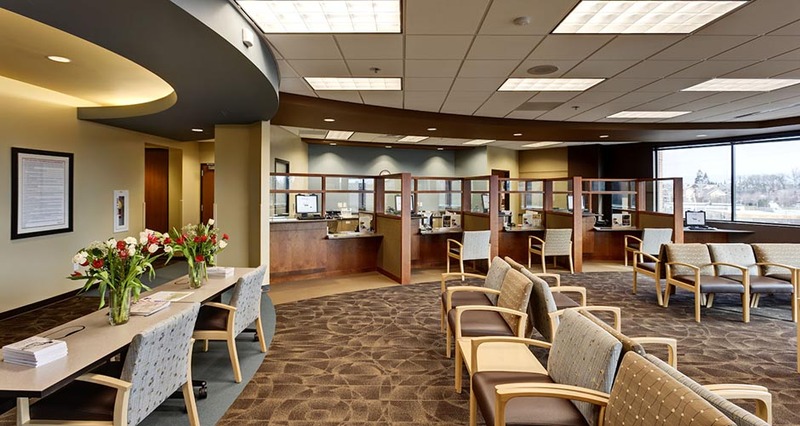 Mackenzie collaborated closely with the client to work within the framework of an existing program to fit all desired elements into the available space. 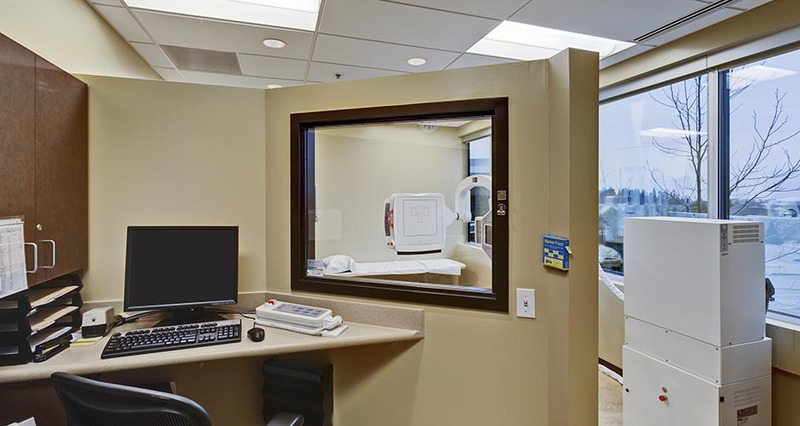 Program elements include standard exam rooms, an eye clinic, an audiology booth, an X-ray room, a phlebotomy lab including an adjacent toilet room with pass-through, reception areas, nurses stations, offices and break rooms. 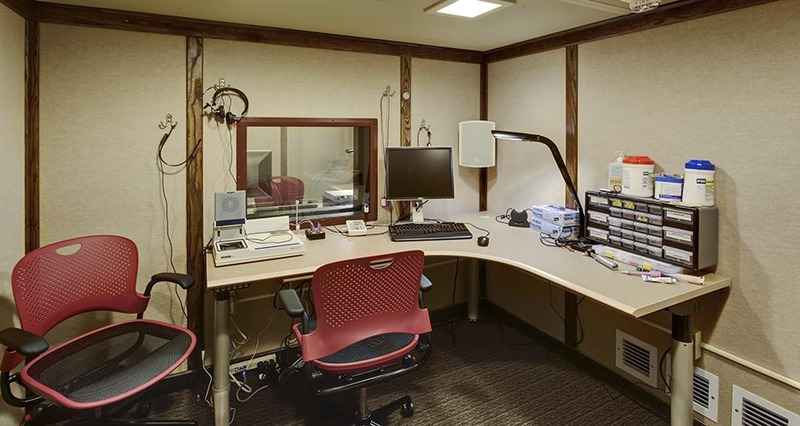 With this project, the VA sought to raise design standard to provide a less institutional feeling clinic experience. Designers selected a warm palette to promote a welcoming environment. 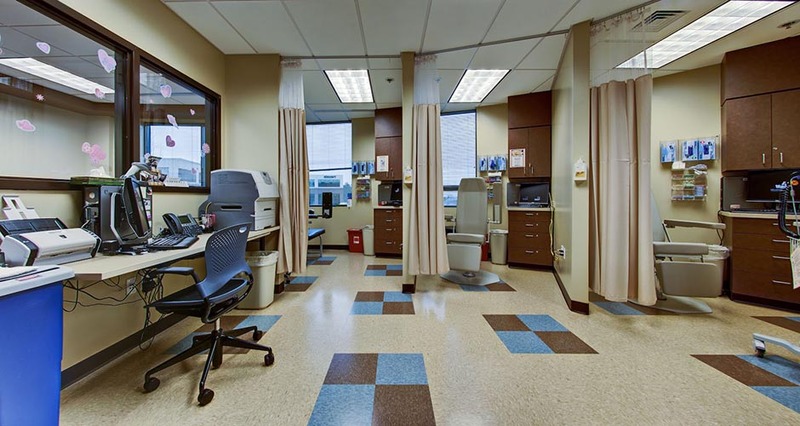 Durable, solid surfaces are easy to clean and maintain, while the layout and furnishings address HIPAA concerns, accounting for privacy and security with solutions such as locking custom casework.